This past weekend we flew to the City of Angels and tried a new blue pill that promised bigger and better results. And bigger and better results it delivered! 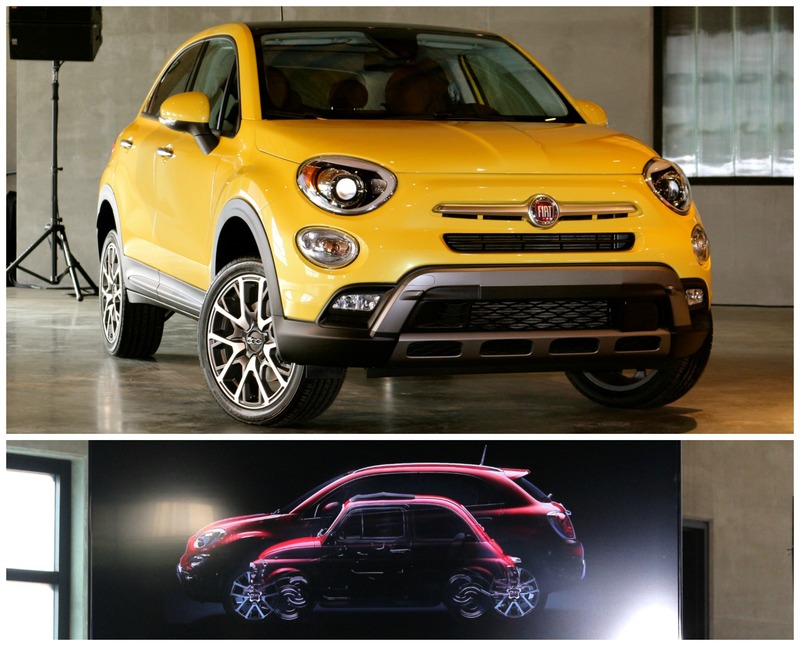 The upcoming 2016 Fiat 500 X meets that criteria to the T.
If you think this video looks fun, filming it was 10 times better! 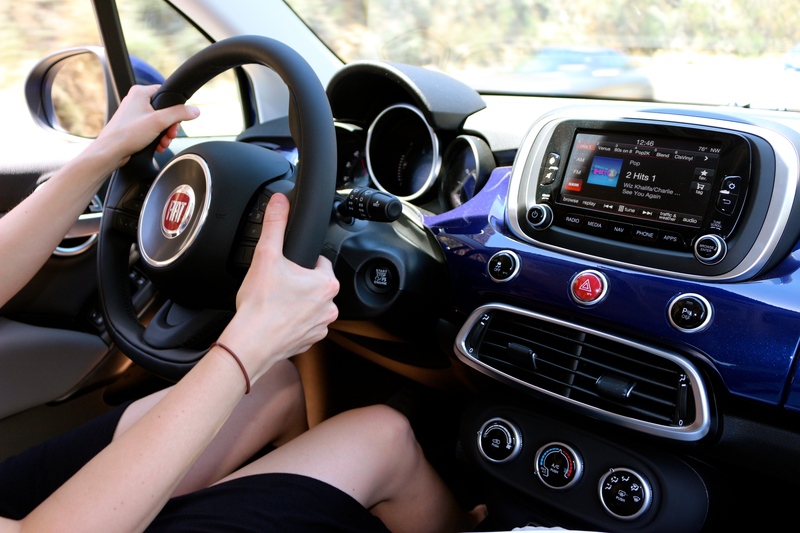 For quite a while now, FCA (Fiat Chrysler Automobiles) designers and engineers have racked up their frequent flyer miles traveling from Detroit to Turin, Italy to build the Fiat 500 X and Jeep Renegade’s global platform. I’m glad to inform their effort and endless jet lag has paid big dividends — The results are molto bello! Picture the current Fiat 500, then imagine it going on a diet, quitting the daily bowl of strawberry gelato, and hitting the gym for cardio and heavy lifting. 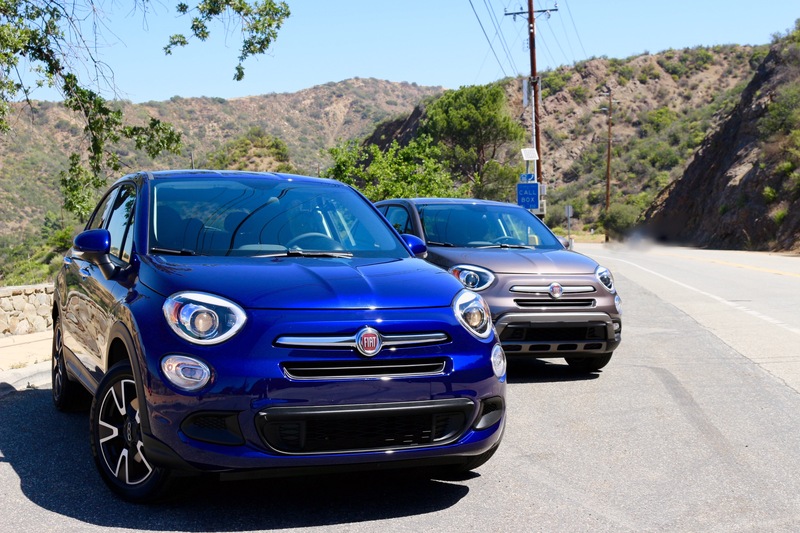 The Fiat 500 X was born. You can have your blue pill and eat it too, by choosing the standard front-wheel drive, or opting for the available all-wheel drive. It’s worth mentioning that the all-wheel drive 500 X features a high tech disconnecting rear axle to aid in fuel consumption when traction to all four wheels isn’t necessary. Impressed? Well, there’s more. 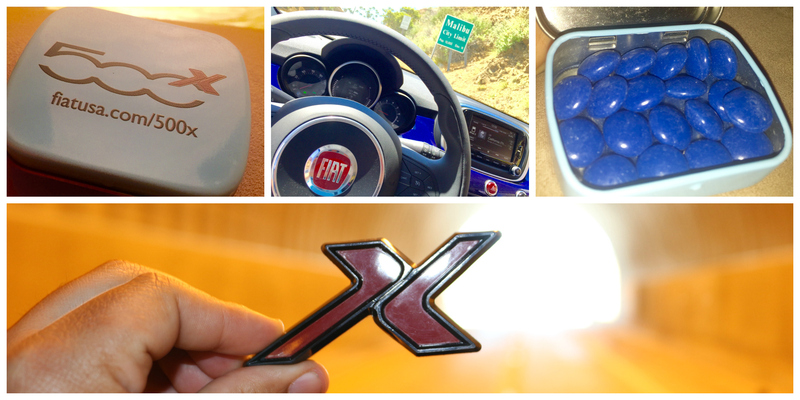 Also a first for Fiat, is a brand-spanking new keyless-access, and push start button system. And my favorite — selective driving modes. Auto: Keeps fuel consumption and comfort a priority. Sport: Hang on, as throttle response sharpens, and shifting speeds get more aggressive. 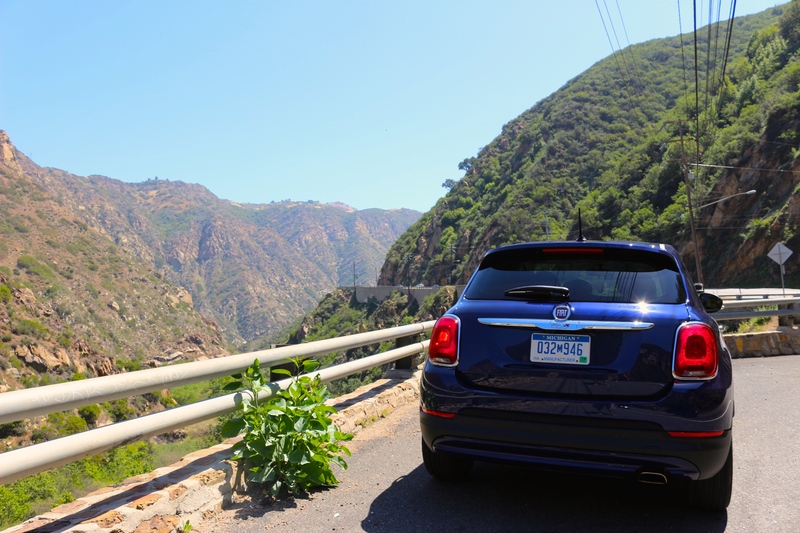 Cruising in the 500 X through Malibu, and pushing it through the never-ending and challenging twisty canyon roads, was the perfect way to discover how well built this muscular little Fiat is. More than twice I drove HOT into a hairpin, only to be pleasantly surprised by how the front suspension and electronics quickly decipher the situation, and zip me out the apex into the next corner. It was impressive. It was fun. Of course — not everything is Cannolis and Biscottis. Unlike it’s European siblings, American-bound 500 X’s won’t offer steering wheel mounted paddle shifters, the reason why is unknown. 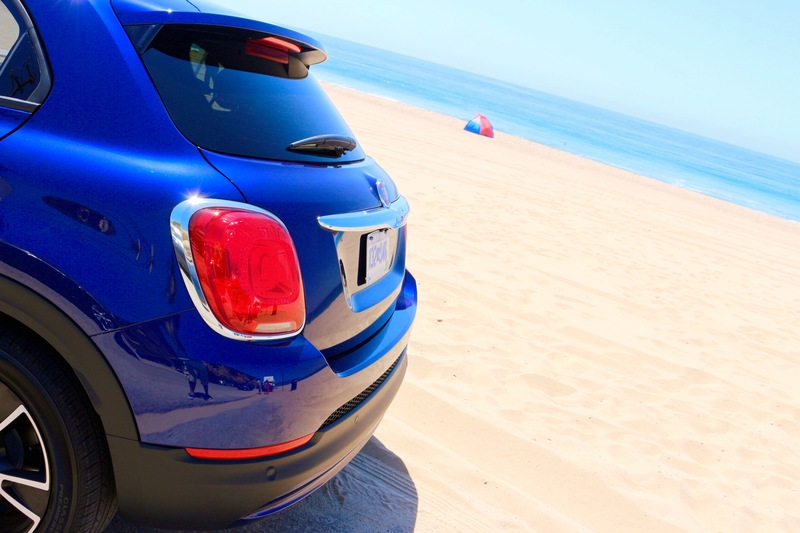 And when it comes to price, a decked out Fiat 500 X will cost around $31,300, and thats unchartered territory for the young brand in America. But most importantly, it will pit it against established competitors like the Mini Cooper Countryman S, and the hot new Mazda CX-3. I personally hope that Fiat’s creative advertising manages to drive customers to their “studios”. As for me, I believe this could be the best Fiat to sell on American soil. Of course you remember the Fiat Superbowl commercial, but in case you don’t, here it is again.